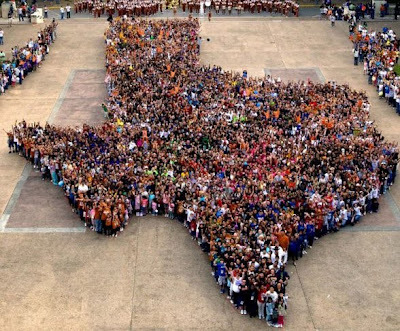 The Texas Experiment: An Ethnography: What Are People In Texas Like? I love Googling questions about people's opinions. Sites like wikihow or answers.yahoo.com are my favorites, allowing users to post questions and then receive public feedback forum-style. Sometimes you find real, interesting, tested solutions or thoughtful reasoning (the former). Other times, you find musings to the likes of the impossibly undereducated (the latter). Like people's, you know, feelings n stuff, repectz fo reals. Tonight, I typed in, "What are people in Texas like?" to answers.yahoo.com (this question isn't exactly a how). It corrected me did you mean: "What are people people in texas like?" Yes, thanks. People people. Is this a question in regards to many people-persons personalities? "The men are, for the most part, really polite and charming and know how to treat a lady, without being sexist or demeaning. Texas men are The Best." Capital T, Capital B. You heard it here, ladies! "Cool, and unliberalized except for Austin for the most part." Unliberalized? Also, I wouldn't normally snark on someone over grammar, but Dude is seriously lacking comma common sense. "many many fat people, but they are all very friendly and personable." All of them. This commenter has met all of the fat people in Texas and they are uniformly fat, friendly and personable. "Very nice and courteous for the most part. I have a relative who came from the north and she says that she prefers the people from the south to those in the north. She said that they are a lot nicer." I only picture this commenter's curmudgeonly old relative, rocking in chair somewhere, grumbling about Yankees. "The only way to find out is to come to Texas." 1. There is a definite sense of obligatory hospitality from most Texans I meet. There is so much welcoming, so much generosity. It seems deep-rooted. People invite you into cars, stores, restaurants, parties, they offer an empty spot at the table, to share the food they cooked for themselves, a beer and a water and a place to sit. 2. Those who talk with a thick Texan accent, talk incredibly slowly. Soooooooo. Sloooooooow. 3. There is so much natural beauty in Texas and outdoor sports are incredibly popular forms of recreation. Many Texans I have encountered are enthusiastic nature-lovers, but not all are necessarily environmentally-conscious. By this I mean there is much public support for nature per say, but there is less emphasis on environmental education. There seems to be no urgency for conservation or preservation of public space - not only in law but by the masses, who litter. There are no mandated recycling or composting laws and extreme budget cuts for parks and recreation services. People generally like what the see when they look at Texas. But some seem unwilling to admit that even petty degradation can do major harm. 4. I have yet to see the "people live slower" lifestyle. The people of Austin are pretty with it. They move at the world's pace; without seeming to cling to a particular style of living. They seem adaptive, resourceful. The population is growing so quickly and the state is becoming so economically successful that people seem eager to let the future in. They are diverse, creative, cutting-edge, and analytical. 5. The sports thing. I don't get it. I am all for fun, and sports are fun, sure, but the mania of it all here can be a bit overwhelming. When I first got here, I tried to go a whole day without seeing someone wearing University of Texas apparel, then it became University of Texas football apparel, now I wait for the day I am sans "Hook 'em Horns!" apparel. I am easing myself into football season and preparing to learn many many things about the sport that I have spent an entire lifetime putting off. I agree with Joe, though. 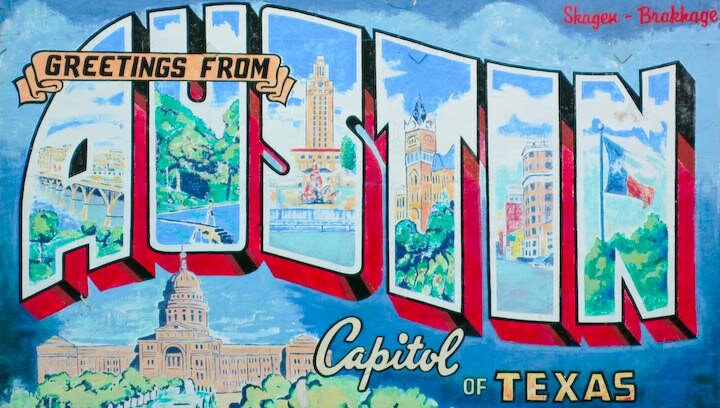 Please come visit or leave me your Texan impressions in the comments. I'm going out to mingle.